No prior training is required for this study path. You will work directly in the company and combine theory and practice through the close integration of your study and practical phases in both content and time. (This is governed by the study and examination regulations). This study option is designed for your initial vocational training and combines your studies with in-company training as an industrial mechanic. We work in cooperation with Bonn-Rhein-Sieg University of Applied Sciences, where you can complete your Bachelor of Engineering degree. This type of study is geared to your professional development and is based on a completed initial vocational training. We offer you the opportunity to continue your education with us while working – there is no need to decide between job and studies. 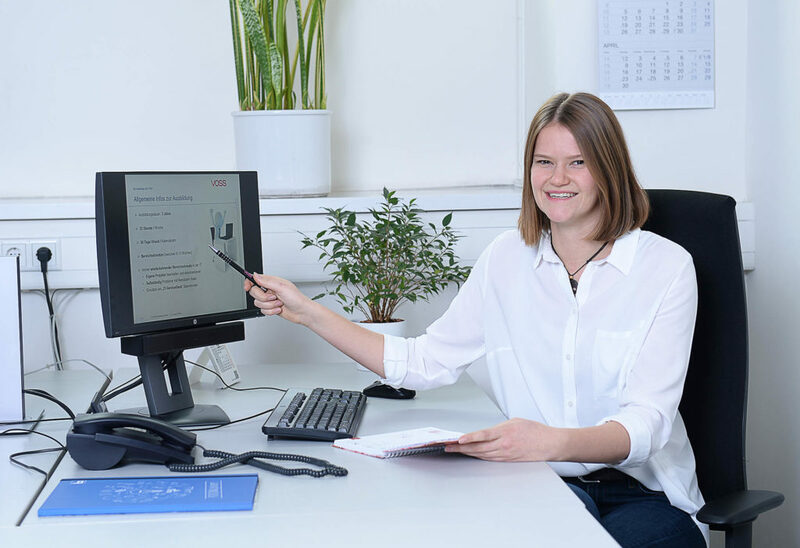 Every year VOSS offers several internships in the technical as and the commercial divisions of the company. As a student you will have the opportunity to get a taste of working life before you start your professional life and to get an insight into the various professional fields. During the summer school holidays we assign various temporary jobs to schoolchildren. If you would like to earn a little pocket money or would like to get a first impression of your dream job at VOSS, then visit our career website and find your holiday job (not yet available). Training at VOSS sets the course for your professional future. 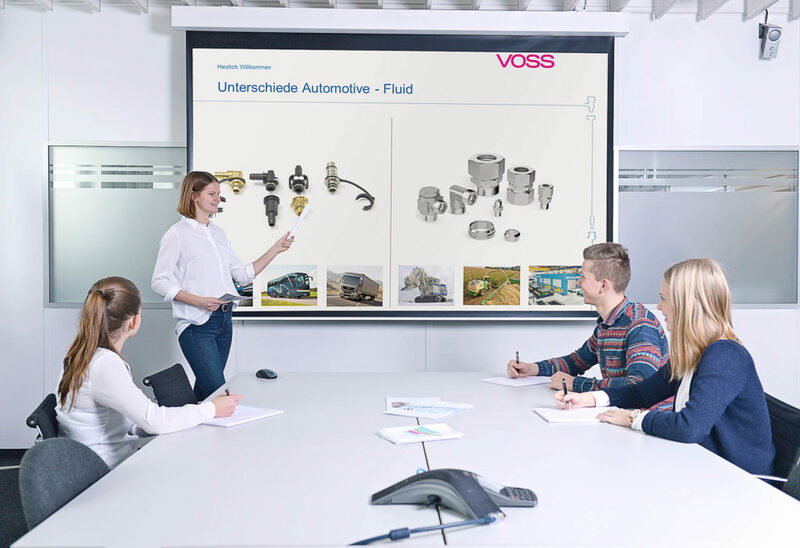 After your training, you are well prepared with your professional know-how for your further career at VOSS and your entry into the world of work. 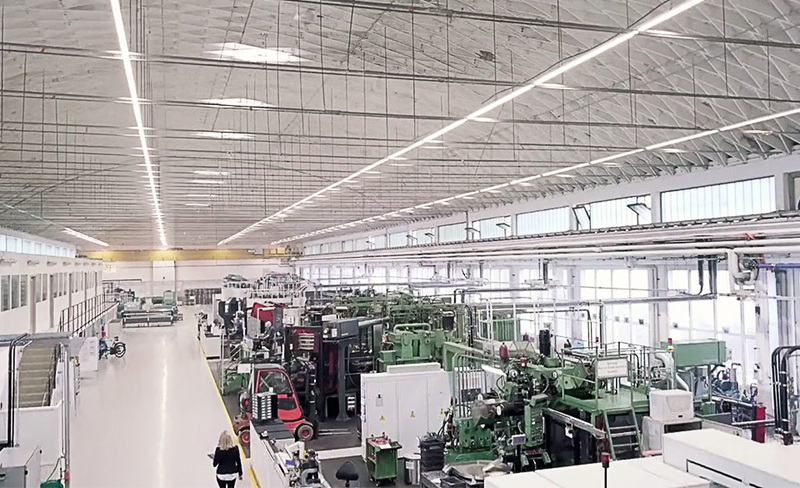 Below you will find all the important questions and answers about your career at VOSS. Do you have any more questions? No problem, we are here for you. Applications should be submitted approximately 1 year before you graduate. Simply and conveniently online, via our homepage. Which vocational college will I attend? Which vocational college you will attend depends on your preferred vocational training. 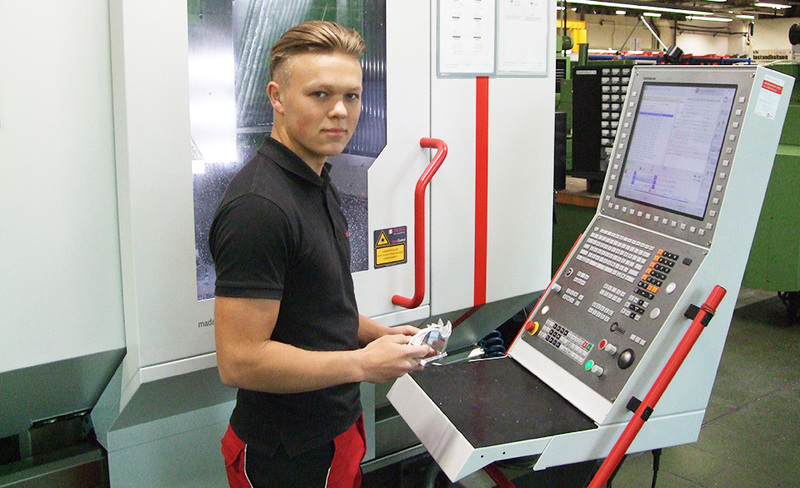 As a rule, our trainees attend the vocational college in Wipperfürth or Dieringhausen. How often will I go to vocational college? Depending on your preferred vocational training, the vocational college takes place either weekly on given school days or in the form of block lessons. The periods of the block lessons are scheduled for a fixed period per training year. If you perform particularly well, your training period can be reduced by six months. Your training allowance is subject to the ERA collective agreement of the metal and electrical industry of North Rhine-Westphalia and is staggered according to training years. How much vacation will I have? Your holiday entitlement under the collective agreement is 30 days per year.